In 2011, Indiana joined the legions of States that made texting while driving illegal. Indiana Code 9-21-8-59 bans drivers from using a telecommunications device to type a text message or an email, transmit a text message or an email, or read a text message or an email. Excepted from the law is using the device in conjunction with hands-free or voice-operated technology, or to call 911 to report a bona fide emergency. However, absent exceptional circumstances, the law also restricts police from confiscating cell phones and determining if the driver had been using it. Police cannot use the law to confiscate a phone and keep it as evidence or to extract or download information from the phone. Although criminal enforcement of anti-texting laws is rare, when a car crash occurs as a result of texting, there may be civil remedies available to deter such conduct. Punitive damages developed under the law as a means of deterring particularly bad conduct. 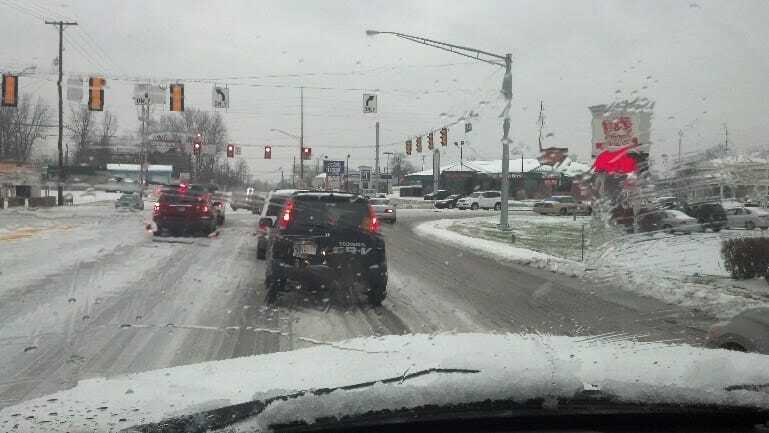 Though southwestern Indiana has dodged snow so far, temperatures are falling and icy conditions increasing. Wintry conditions inevitably lead to slips and falls, some of which will lead to serious head, neck and back injuries, broken bones, and muscle and ligament tears, strains and sprains.For many who slip and fall, their first emotion is embarrassment and their first instinct is to blame themselves. Also, many premises owners will be quick to claim they cannot be at fault for folks who venture out into wintry conditions and happen to slip and fall. Accordingly, for many guests and premises owners alike there is a perception that a premises owner will not be liable when a guest does slip and fall in wintry conditions. Reaching such a conclusion without consideration of Indiana law and surrounding circumstances could be costly. a landlord does have a duty of reasonable care that the common ways and areas, or areas over which he has reserved control, are reasonably fit and that hazards created through a natural accumulation of ice and snow are not beyond the purview of that duty. Fire department personnel were shocked and dismayed to respond to a recent car accident because the victim was one of their own. An intern with the Indiana fire department was the victim, and he was helping with a tow truck alongside the roadway when the accident occurred. The 20-year-old died of his injuries, which may possibly open the door to a wrongful death case if some percentage of liability can be placed upon the driver who hit the young man. The young man was outside of a house on a Thursday night where he was trying to help his brother. They were getting a pickup truck off of a tow truck and were on the edge of the driveway. A car came along and hit the man. His brother, who was volunteer firefighter, attempted to save the man, but those attempts proved to be futile. The man who hit the fire department intern was transported to a hospital for injuries he received in the crash. Investigators have said there is no reason at this point to believe impairment was a cause of the accident. A fire chief speaking about the accident pointed to the narrow roads and high speeds when discussing how this unfortunate turn of events affected one of their own.